Individuals or enterprises or companies will at various points of time need to shift goods from one point to other. Whether it’s furniture, car, bike office goods, machinery or pallet could be daunting and stressful. Since this assignment is not of regular nature for most of us, we do not know the contours of shipping or transportation. Even small to medium enterprises with ambitions to move their finished goods or raw materials, often find the entire process very cumbersome. Digital transformation has enabled and empowered people with choices like never before. Some pioneering initiatives done by companies like VALUESHIPR are paving a path towards transforming Logistics and Supply chain sector. One could just go online (www.valueshipr.com) and book your freight, do a truck booking online, seek port to port freight rates sitting in the confines of his home or office. Whether based in Mumbai, Delhi, Ludhiana, Jalandhar, Ahmedabad, Surat, Indore, Bangalore, Chennai, Hyderabad, Kochi and many other towns, it would have been a tad difficult finding and requesting rates from individual transporters or freight forwarders, beyond all time consuming. Understanding the five benefits that make transportation or shipping through VALUESHIPR the smartest, or safest way. We are a neutral marketplace and therefore the Freight Bids that you receive is transparent and allows you to compare the Freight cost. Also you stand to benefit due to the large pool of transporters in the geo-fenced location or the ‘return’ truck headed to your destination sought by you giving you a highly competitive rate. The Platform allows you to place a SPOT, CONTRACT and TO PAY mode of transaction for your goods transportation and is one of its kind. Payments can me made in a very hassle free manner using the payment gateway, UPI or direct Bank Transfer. Also the payments that you make is not released to the transporter until there is a confirmation that your shipment has been safely delivered. Beyond Load to Truck matching, geo-location, there are multiple intervention points where advanced technologies like Machine Learnings and AI have been used for route optimization, appropriate usage of volumetric space, expected delivery times ensuring high degree of compliance for the throughput. An able professional Logistics operations team is continually monitoring and is standing by to help in the unlikely event that if anything goes wrong. 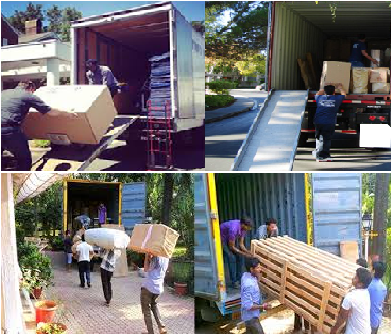 The team involves in on any issues and offers hands-on assistance to resolve all kinds of transportation or shipping issues. The Valueshipr GPS- IOT Tracking systems helps in getting a all round visibility of the shipment for Shippers. eg; If a truck breakdown occurs, you’ll have access to our expansive network of alternate transportation and help and get your shipment delivered at no additional costs. Most carriers already carry some level of insurance, but for your own peace of mind, purchasing additional cargo transit insurance is highly recommended. Booking through VALUESHIPR, you can get your Marine / transit Insurance at very low-cost, all with few clicks during the booking process. To get started, just create your first booking visit www.valueshipr.com . You can sit back, watch the quotes roll in, take an informed decision, and ship your goods with peace of mind.